Annapolis. When one thinks of classic yachting epicenters on the Eastern Seaboard of the United States, just a handful of places come to mind. One of them is beautiful Annapolis, Maryland, known as “America’s Sailing Capital”. Also the state capital since 1694 and once the national capital of a young United States for six months at the end of the Revolutionary War, Annapolis is a great town to visit by both land and sea. Local institutions on the Severn River that call Annapolis home, like the United States Naval Academy, the Annapolis Maritime Museum, and Saint John’s College (founded 1696), add to the colonial charm of this historic seaport. Annapolis is a town for sailors. The 2017 United States Sailboat Show occurs in Annapolis this week, 5-9 Oct. This show, one of the largest and most prestigious boat shows in the world, was established by Franklin “Jerry” Wood back in 1970 in Annapolis Harbor as the first in-water, all-sailboat show. 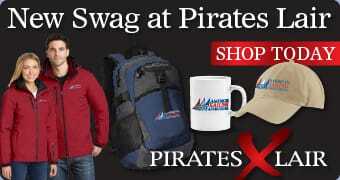 An instant success, it revolutionized the boat show industry. And eleven years before that, Jerry founded the Annapolis Sailing School with just two sailboats after being approached by a stranger who wanted to charter his catamaran. It was the first commercial recreational sailing school in the country and it has maintained its status as one of the nation’s largest since 1959. Owned now, since 2014, by Rick and Jenny Nelson, with managing director John Cosby, Annapolis is one of the nation’s premier sailing schools and still America’s oldest. Founded a quarter century before ASA, the school teaches sailing the “Annapolis Way” by maximizing hands-on, physical, on-the-water instruction while emphasizing safety, fun, and learning, in that order. Jenny, who was an instructor at the school as a teenager, states, “We are thrilled to build upon the legacy of the school by adding courses, boats, facilities, and amenities, further dedicating ourselves to providing a great student learning experience and engendering life-long sailors”. Situated ideally just two miles from downtown Annapolis on Chinks Point (named for local Chinquapin Trees), just across the mouth of Back Creek from the Annapolis Maritime Museum, at the end of Bembe Beach Road, boaters at the school enjoy both protection from the elements and quick access to the Severn River and the open waters of Chesapeake Bay. The school has private sandy beaches, a large pavilion tent, and four classrooms that are organized with tables, chairs, charts, models, videos, and white boards, all geared toward simple, functional, and no-nonsense sailing instruction. They hold their class graduation ceremonies in the Sail Shed, a recently renovated clubhouse with comfortable seating and a glass wall over-looking Back Creek. 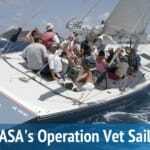 ASA is honored to affiliate itself with the prestigious Annapolis Sailing School. They have supported ASA since our founding in 1983. ASA easily could have been headquartered there. Actually, the school does seem like a part of ASA. Our ASA 211 Instructor Evaluator Clinic, led by Duncan Hood and David Lumian, and a full set of ASA 201, 203, 204, and 205 instructor clinics are being hosted at the school this week, as they have for many years, by a staff of people who are helpful, knowledgeable, and very accommodating. 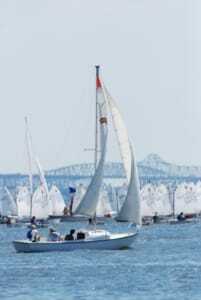 ASA is proud that Annapolis Sailing School elects to teach the ASA curriculum. The school teaches ASA courses in well-defined modules, and each instructor follows ASA standards faithfully. 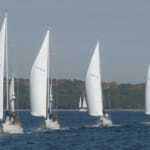 Their beginning course, ASA 101, Basic Keelboat, is taught in a limited-sized class with a low student-to-instructor ratio. Annapolis certifies hundreds of ASA 101 students annually, three times the number of their other ASA courses combined! 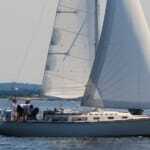 The Annapolis Sailing School has a fleet of Rainbow 24 sloops to teach its ASA 101 classes. The Rainbow was designed specifically for the school by Sparkman and Stephens in 1961 and first built by Tidewater Boats in 1962. It is fast and forgiving, nimble, and very stable with an 1100-pound keel accounting for more than half its displacement weight. A spacious cockpit seats five adults comfortably. The standing and running rigging are very well maintained. Dryness and good back support are assured students by a high cockpit coaming. The head of each mainsail is bright day-glow orange which makes this charming and sturdy fleet of engine-less boats easily visible on the Severn River. 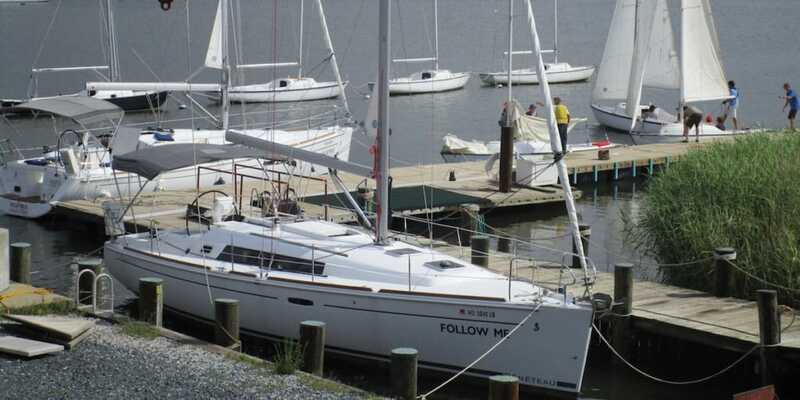 Sailing education, conducted on the scale it is at Annapolis Sailing School, is hard on boats. In the off-season the school rebuilds and services their fleet of Rainbows at its own on-site facility in the same building as the offices and classrooms. Over the winter workers strip, repair, re-finish, re-fit, and re-rig, each boat for the following spring. Young workers are mentored. All work is well-planned, meticulous, and impeccable. The school has created a sailing education machine with an annual cycle of instruction and boat maintenance, but also with an eye on the big picture, past, present, and future. More than 100,000 students have graduated from the school since 1959, and they have all been taught on these famous Rainbow 24 masthead sloops. When a student demonstrates sailing proficiency on the Rainbows, s/he may become a member of the school’s Keelboat Club as a “Rainbow Sailor” and given access to the Rainbow fleet with a generous allotment of reservation privileges. 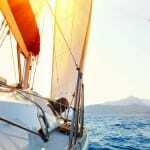 Students who can devote limited time and energy to sailing may elect to become “Social Sailor” members. And the school’s “Ultimate Sailor” members can venture further offshore on one of the school’s Beneteau 37s, after completing ASA 103 and 104. Heading south on the bay takes boaters past Poplar Island, toward the mouths of the Patuxent and Potomac Rivers. Heading north under the Chesapeake Bay Bridge leads into Baltimore. Of course, the future of sailing belongs to today’s children. The school’s KidShip Sailing program is a weekly sailing camp that offers age-appropriate instruction for children ages 5 to 15. 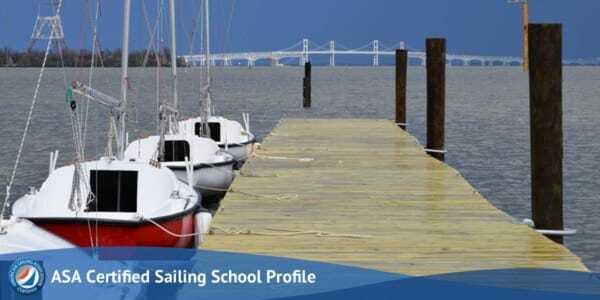 Many of the KidShip graduates attend lessons for several years, progress to sail on school and college teams, and then return to Annapolis as instructors. Tradition lives in Annapolis, and it is especially alive at the Annapolis Sailing School. Not surprisingly, the school does not tout its own legacy. In all ways, it is the epitome of a classic sailing school whose owners, managers, staff, instructors, and boat wrights devote themselves to the spirit of sailing and imbue their spirit of dedication forward to other sailing schools and to anyone who steps aboard a boat in Annapolis.